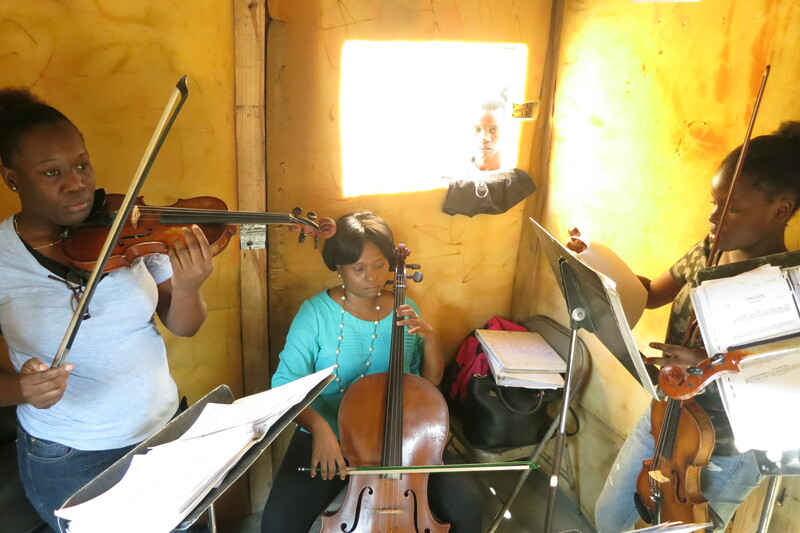 In a testament to the diversity of expression within Haitian musical tradition, the Radyo Shak at the 2015 Ghetto Biennale in Port-au-Prince was honored to host the visit of a string quartet from the Holy Trinity Music school, home of Haiti’s only philharmonic orchestra. Founded in 1956 by Sister Anne-Marie of the Convent of St. Marguerite, the school trains students from all social and economic backgrounds in the full range of classical orchestral instruments. The instructors at the school, which is affiliated with the Episcopal church in Haiti, are drawn from previous graduating classes. Part of the mission of the music school is to spread the possibilities and even just the idea of ensemble and orchestral music-making to the widest possible Haitian public. In this segment Richard Fleming talks with Bernadette Williams of St. Trinité before her quartet performs three traditional Haitian songs arranged for strings: Choucoune, Sirop Grenadine, and Woyo woyo. Usually, she notes, they would be accompanied by a drum, but there was scarcely room for another musician inside the hot, dusty and very crowded Shak! 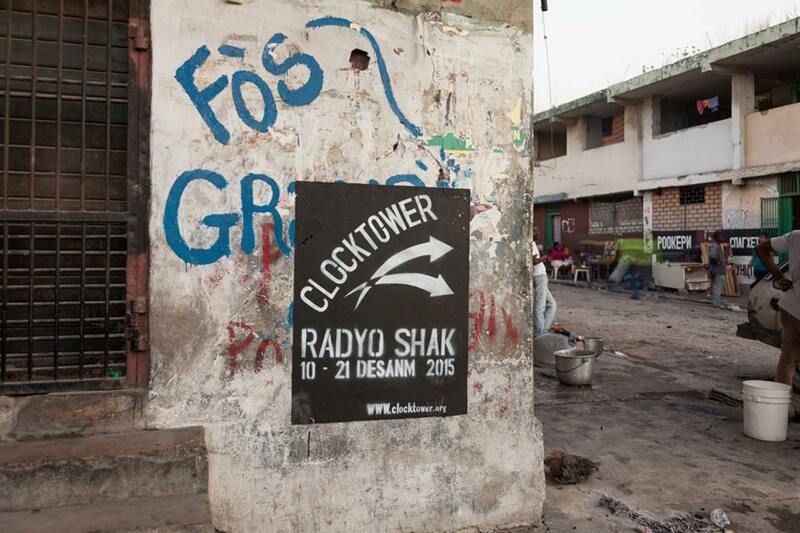 Pwoje Radyo Shak la te vle selebre tout kalite misik Ayisyen, donk sa te avek anpil plesi k nou te resevwa kat misisyen ki sot L’Ecole de Musique St. Trinité kap jwe misik klasik Ayisyen. Ekol sa-a se kay sel orkes filamonik nan peyi d’Ayiti. Fonde nan 1956 pa Se Anne-Marie ki so kouv St. Marguerite, ekol la bay instriksyon pou anpil etidyan ki soti tout klas ekonomik ak sosyal. Yo apran jwe tout kalite instriman orkes klasik. Instrikte yo chwasi ant ansyen elev lekol lan. Yon pati misyon pa yo anpotan se pataje posibilite yo ak ide misik klasik avek pi gran odyans posib. Nan pwogram sa-a Richard Fleming ap pale avek Bernadette Williams avan misisyen yo ap perfome twa chanson tradisyonel Ayisyen: Choucoune, Sirop Grenadine, epi Woyo Woyo.